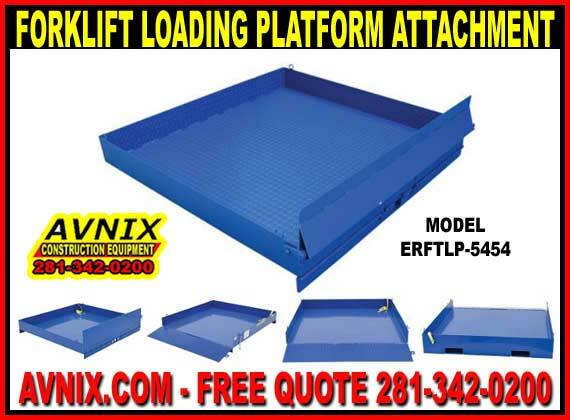 Home » Loading Platform Forklift Attachment For Sale Factory Direct Lowest Price Guaranteed! 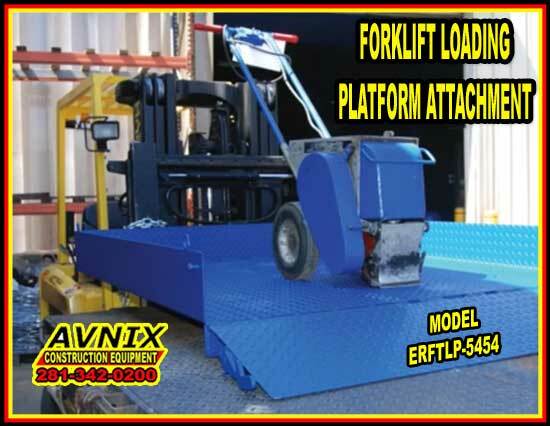 Avnix’s forklift loading platform is able to load/unload items into truck beds and tractor trailers. Maximum uniform weight capacity is 2,000 pounds. (dependent on forklift capacity). Includes 12″ fold-down lip to help with transition. Side guard toeboards are 6″ high. Four tie-down rings are included for securing equipment (tie downs not included). Diamond plate floor for extra traction. Safety restraint is included to secure platform to forklift. Steel construction with baked-in powder coat finish for added toughness. Insert forks into pockets and chain platform to fork truck. Load items onto platform. Rotate and lock lip in vertical position. Transport item to be loaded to truck. Unlock and lower ramp. Lock can be operated from either side.